YEAH? 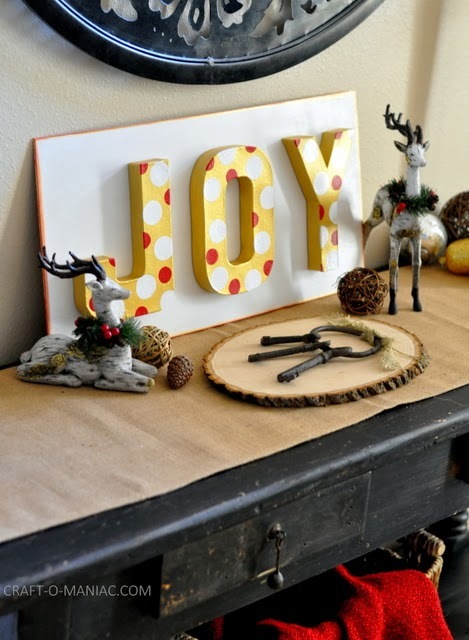 today I am sharing my first “Christmas Project” of the year! WOOT! 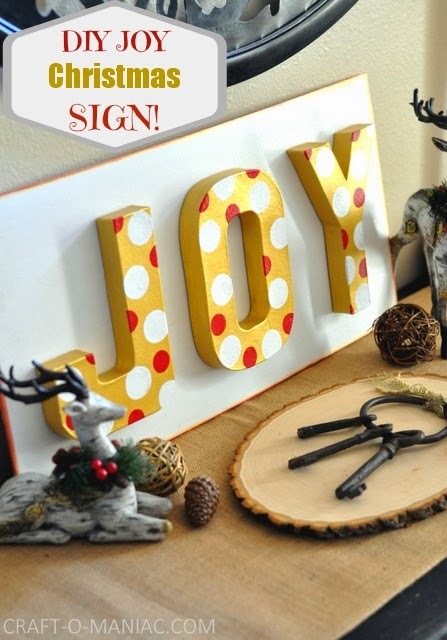 My DIY Joy Christmas Sign! This project was so easy any one can do it. I started by painting my piece of plywood with white paint. 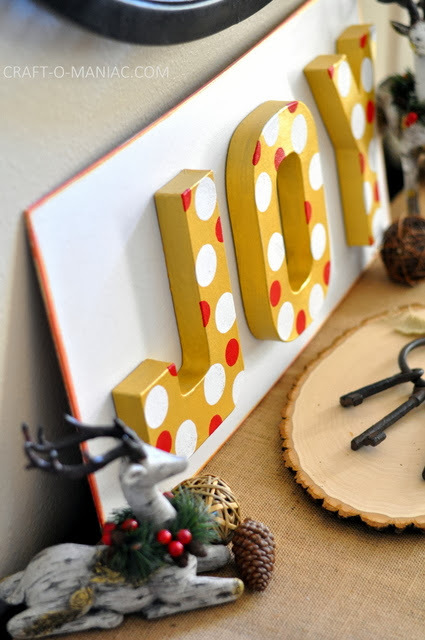 I set it aside to let it dry, and then moved onto painting my JOY letters with the gold paint. 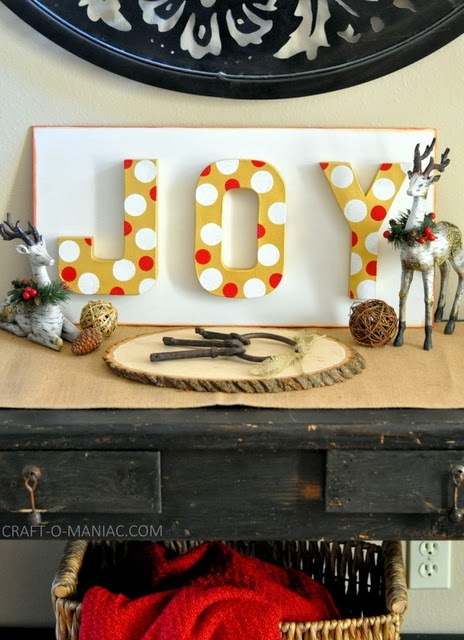 Once the letters were dry I added the polka dots with my two different sized round sponge applicators. I just dipped each round applicator gently into the paint and then pressed the round sponge applicator down onto the letters. 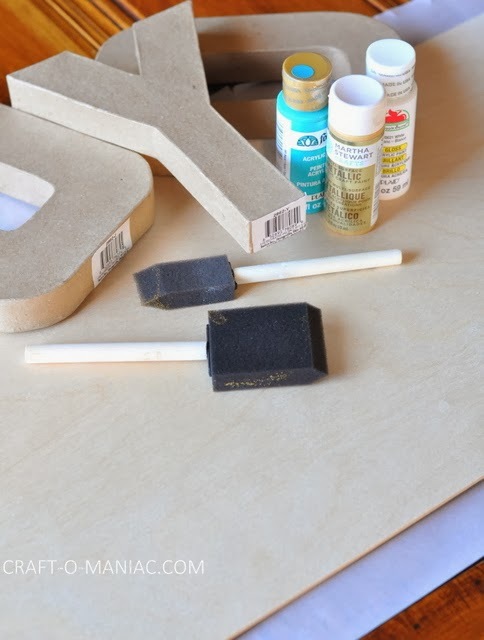 When they finished drying I hot glued them to the board and took one of my sponge applicators and dipped it into the red and gold paint and lightly went around the outer edges of the plywood board. Then I let that dry and I was done. Supplies! 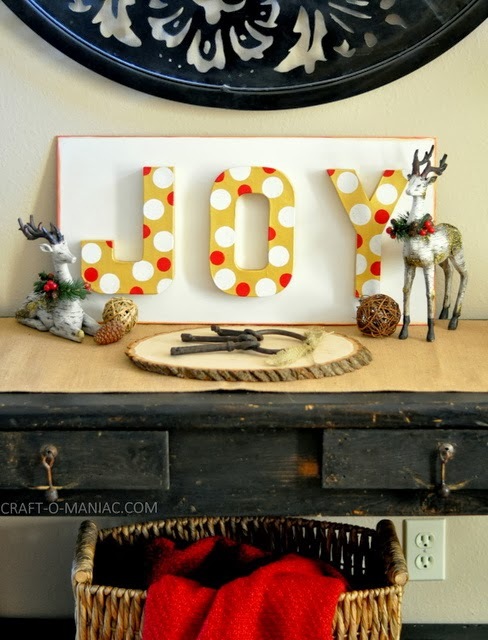 just ignore the turquoise paint, I was going to do that, but opted for red instead. I don’t have this cute project out right now, but soon. 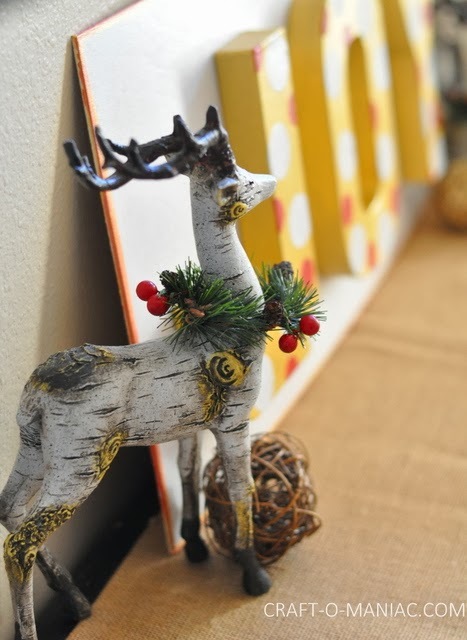 If you all like the darling reindeer’s too, you can find them at Oriental Trading. it turned out super cute – great job! 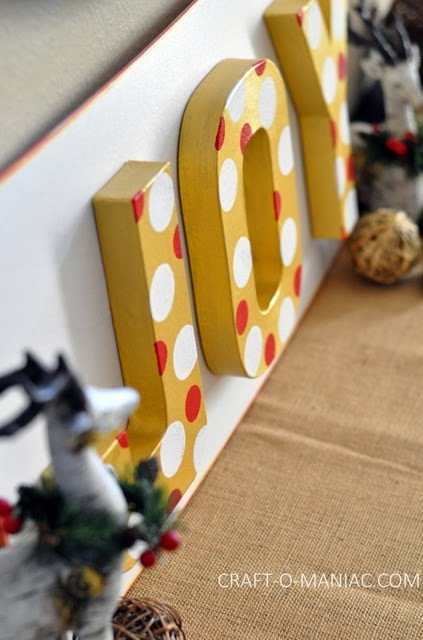 How did you apply the polka dots? Soo stinking cute! I’d love to try it out but incorporate white lights somehow. I’m a sucker for Xmas lights. Where did you get those keys from in front of the sign? Love em! This is so cute Jen- love the color scheme!